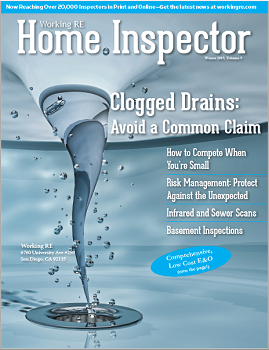 Inspecting a full depth, block basement is a huge challenge for a home inspector. Much of the basement structure is not visible. It is below ground. If the interior of the basement is 100% finished, very little is visible inside. But basements are a huge liability for inspectors. Follow your home inspection standards and know you can check some visible basement components from the outside. Be sure the surface grading directs water away from the foundation and that gutters and downspout extensions carry water away from the basement. 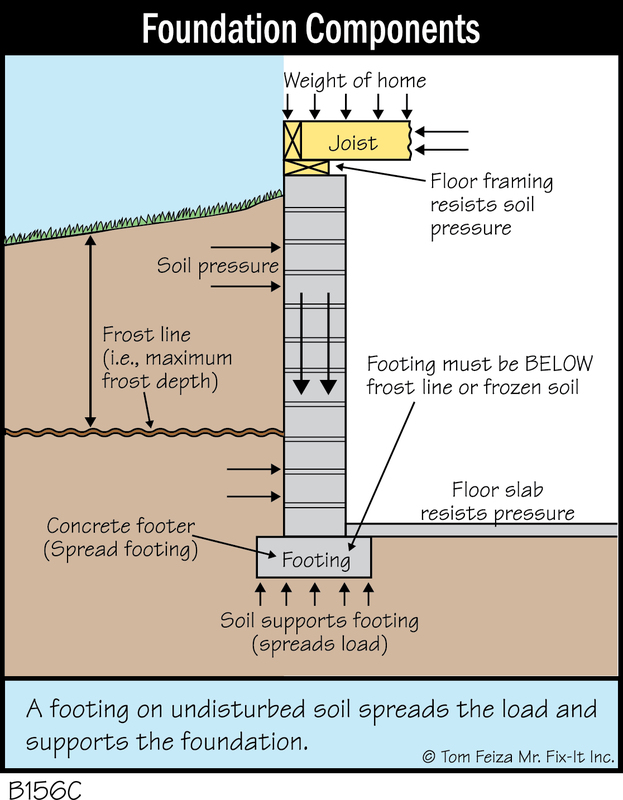 Normally a slope or pitch of one half to one inch per foot away from the basement is needed. Hard surfaces should also slope away. Always make a note about maintenance of grading, gutters and downspouts and always recommend corrective work as needed. Check the gutters when you are inspecting the roof and recommend maintenance and cleaning if needed. Remember—if the basement leaks, you will get a call. It is helpful to point out the maintenance you suggested in your report. Inspect the exterior visual components of a basement or note that they are not visible and not inspected. A minimum of about six inches of the foundation wall should be exposed. At the top of the wall look for all cracks, particularly corner cracks. (See Figure 2: Corner Cracks.) Any cracking in a corner means the adjacent wall has moved. 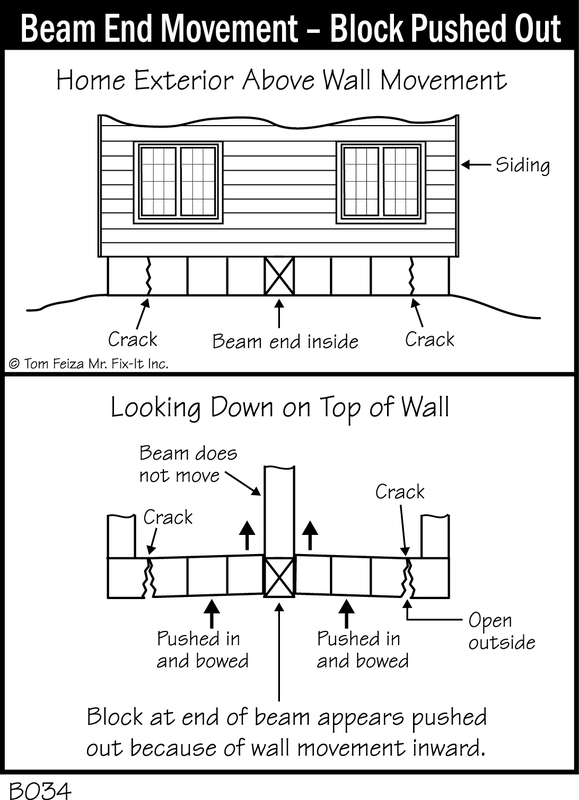 When a wall tips or bows inward, it breaks away from the corner with a vertical or stepping crack. Corners generally don’t move because the blocks are “woven” together at a corner and resist movement. Check for “Beam Punch Out.” In this picture, you will notice the block at the end of the center structural beam appears to be pushing the block outward. What has happened here is the block wall is displaced inward and the beam holds the adjacent block in place as the wall moves. The beam does not move. This wall is often an issue with movement because there is no load from the floor joist framing on this wall. Weight on a wall helps it resist movement. The only weight on the wall is at the center, below the beam. Beam punch out wall movement is graphically represented in Figure 3: Beam End Movement—Block Pushed Out. You will note the top of the wall is bowed or tipped inward. As the wall moves inward it breaks away from the corners with a crack and the block at the beam appears to be pushed outward. You should also inspect the exterior masonry veneer for movement. Cracking or movement of the masonry veneer may result from foundation movement. If the basement block wall is displaced inward at a horizontal crack near the center of the wall, the top of the block wall will tip outward. (See Figure 4: Serious Horizontal Cracks.) As the top of the wall tips out, it may tip or crack the masonry veneer supported by the top of the wall. You can see the cracks and measure the veneer movement outside. In Figure 5: Tipping Veneer, you will notice serious movement, cracks and gaps in the veneer. This case is extreme but did result from a displacement of about two inches in the block foundation. The center of this wall was pushed in about two inches at a long horizontal crack. The corners of the basement had significant step and shear cracks. The top of the wall supporting the veneer was tipping outward with the veneer. In most cases, the veneer movement is not as severe as visible in the picture. You need to check for subtle visual movement and cracks. Veneer tipping one inch in four feet is a potential issue. 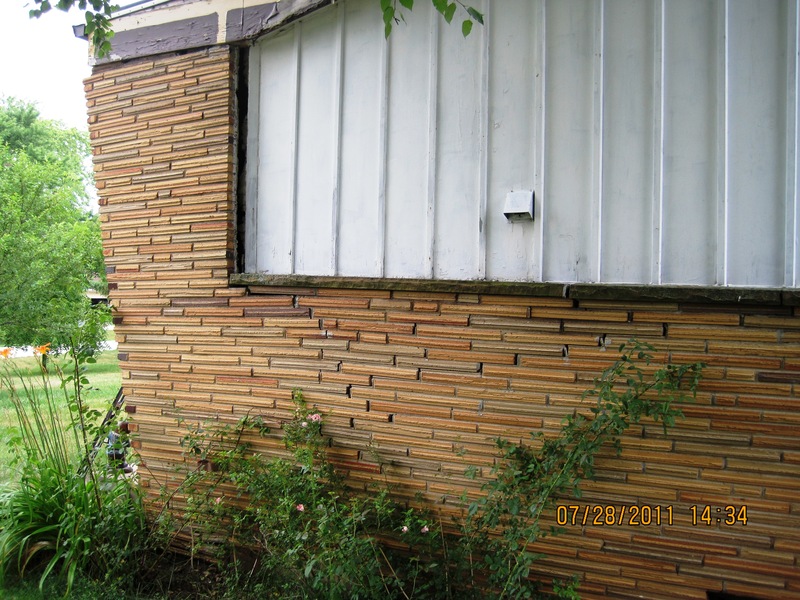 You will also notice the veneer may be pulling away from siding and trim. Look for a wide caulk joint with a major gap or several layers of caulk and a caulk joint pulling apart at the edge of the masonry. Faux stone or adhered masonry veneer is normally not affected by foundation movement. This type of masonry is supported by the wood framing and it is rare for the wood framing to move. Damage to adhered masonry is often a water intrusion and flashing problem. Visible cracks and movement on the outside of the home and foundation clues you to potential serious basement and foundation issues. When you notice corner cracks, you should note this concern for further evaluation. When you see beam punch out, you know there has been serious movement and this is a defect. Serious movement and cracking of masonry veneer is a defect and probably signals serous basement issues. Minor movement and cracking should be cause for further evaluation. Inside the Basement – Report? If the basement is completely finished, you should report that in detail. Not visible, no inspection. Also note the exterior concerns that require further evaluation. If the foundation/basement walls are visible, you will probably find interior issues related to the exterior observations. With exterior corner cracks, you will notice the cracks move through to the inside. There may be shear cracks through the blocks. 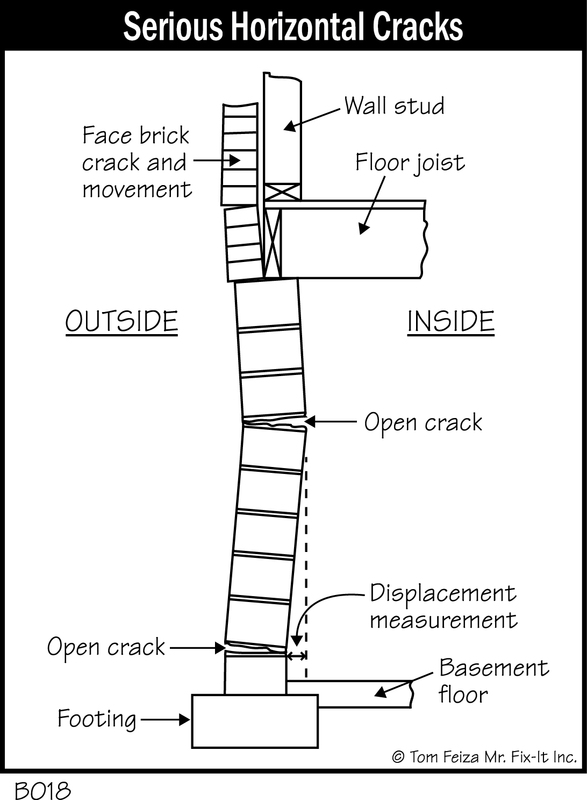 There may be stair stepping cracks following the mortar joints. Measure the wall for displacement and document that if this is a standard practice in your area. If you see exterior beam punch out, you will also see cracking in the mortar around the beam. You may notice the movement but in many cases this is hard to see. If you measure the wall, it will have tipped inward. Always report grading, gutter and downspout issues likely resulting in moisture damage. The wood framing and siding must not contact soil. Every (OK 98%) of homes require exterior maintenance to protect the structure and basement. Always suggest ongoing maintenance. If the gutters overflow—the basement will leak. The owner must maintain the exterior and tell him that in your report so when he calls about the basement leak you can ask him about your maintenance suggestion. Always report any cracks and/or movement of the foundation and masonry veneer. Notify your customer that substantial cracks and movement can result in a very serious and expensive repair. These issues dictate further evaluation. Remember basement leaks and water intrusion is another issue to report. 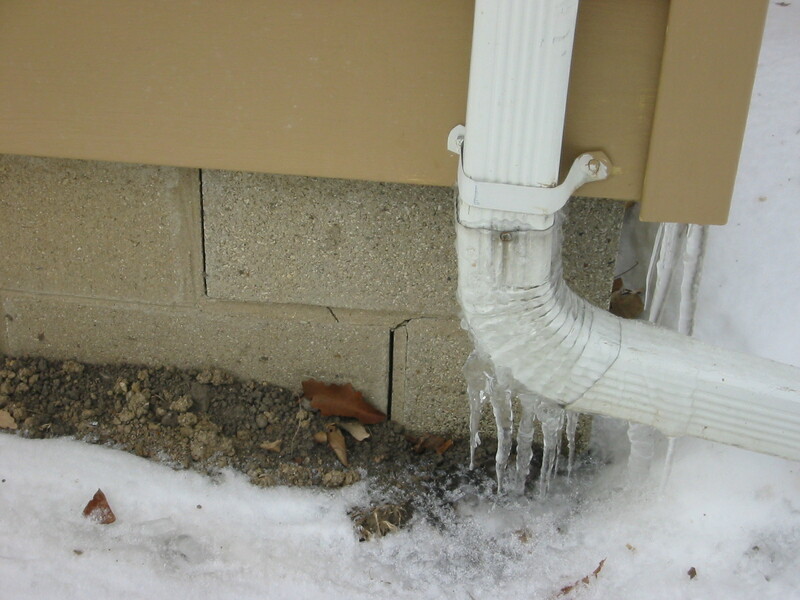 Leaks are often not directly connected to movement but may be related to cracks and poor control of exterior water. Remember if you can’t see it, you can’t inspect and can’t report on the system. If the walls are fully covered, make a note. I generally make a note about each foundation wall stating the percentage of finished area and the actual conditions. Take a picture of each basement wall to document conditions and visibility even if you don’t use the picture in your report. To learn more, attend Tom’s presentations at educational sessions for home inspector groups. Tom will be presenting “Describe That Defect” and “The Practical Science Behind Great Home Inspection” at ASHI Inspection World® 2019 in San Diego. Tom can also provide his knowledge for your educational event; contact him at Tom@HTOYH.com. Tom Feiza has been a professional home inspector since 1992 and has a degree in engineering. 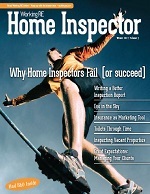 Through HowToOperateYourHome.com, he provides high-quality marketing materials that help professional inspectors boost their business. Copyright © 2018 by Mr. Fix-It, Inc. Visit HowToOperateYourHome.com for more information about building science, books, articles, marketing, and illustrations for inspectors. Or e-mail Tom (Tom@misterfix-it.com) or call 262-303-4884. Reproduced with permission. 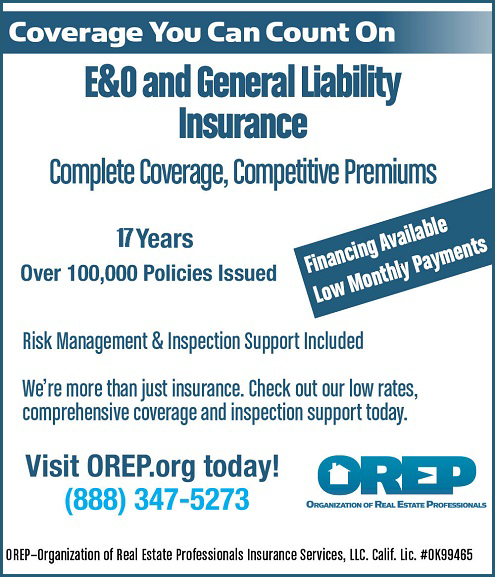 OREP Appraiser E&O insureds enjoy it free and this year Free Approved Continuing Education! !